Chris Difford’s “I Didn’t Get Where I Am” to be released on vinyl in May – pre-order now! What CD release in May will make vinyl lovers very happy indeed? The answer – plus pictures – to follow later today! Here is a reduced image of the gatefold cover for Chris Difford’s album “I Didn’t Get Where I Am” – I’m proud to announce that this will be released next month on the Plane Groovy label in wonderful heavyweight double vinyl format! In many ways even more exciting is the news that – as the original album fits on three sides of vinyl – Chris has kindly offered some amazing demo versions of these songs (plus the original demo of a rearranged Squeeze classic) to fill side 4. These are all recorded at high quality and offer a fascinating insight into the evolution of the work! As with the previous release, Francis Dunnery’s “Man” album, this will be a limited edition of 500 individually numbered copies. As I am the only distributor, on a first-come first-served basis you’re welcome to place pre-orders to my email address chris.topham@virgin.net and as of midday today all copies from #011/500 are currently available! Cost is £19.99 plus shipping, or US$29.99 plus shipping, or 24.99 Euros plus shipping; depends which country you’re in! 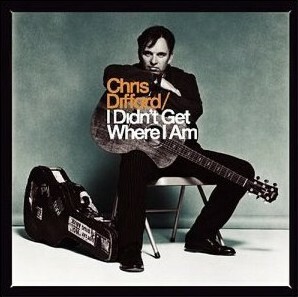 3 Responses to "Chris Difford’s “I Didn’t Get Where I Am” to be released on vinyl in May – pre-order now!" Thanks for the clarification Chris – I’ll be posting more about your venture with Chris over the next few days – exciting times!